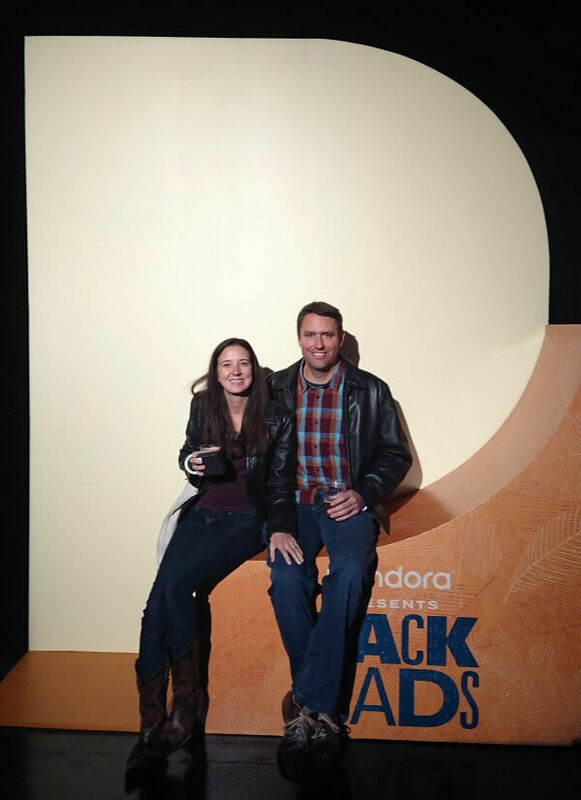 Pandora, the largest streaming music provider in the U.S., hosted the Backroads live celebration here in Nashville, Tennessee, on November 27th. 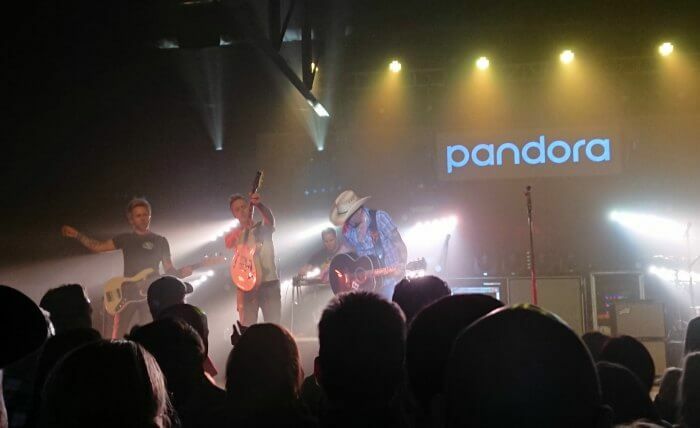 Jason Aldean headlined the concert as a three-time CMA nominee and as the top played Country artist in Pandora history! The Backroads live music events are free concerts that fans can RSVP for ahead of time (subject to venue capacity limits). I was fortunate enough to attend and it was quite a night! 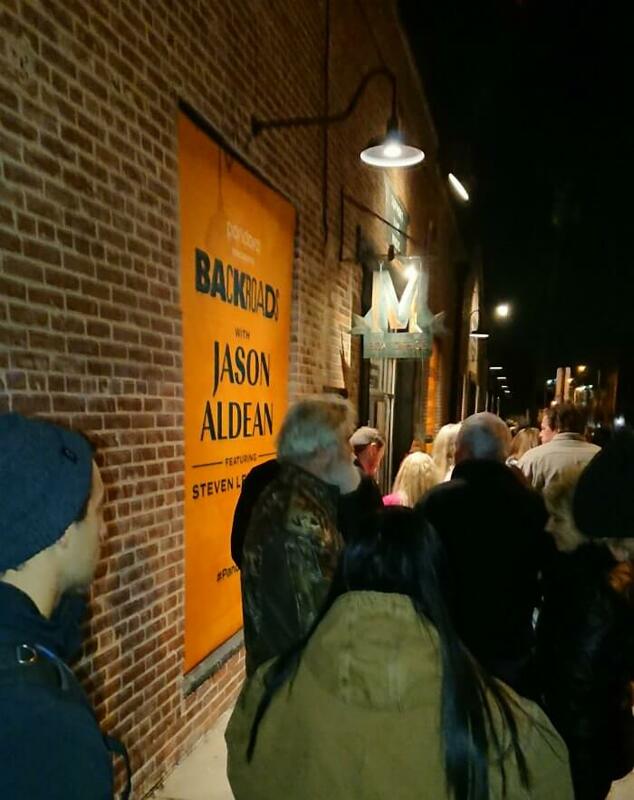 First, fans lined up at Marathon Music Works to get into the special show. 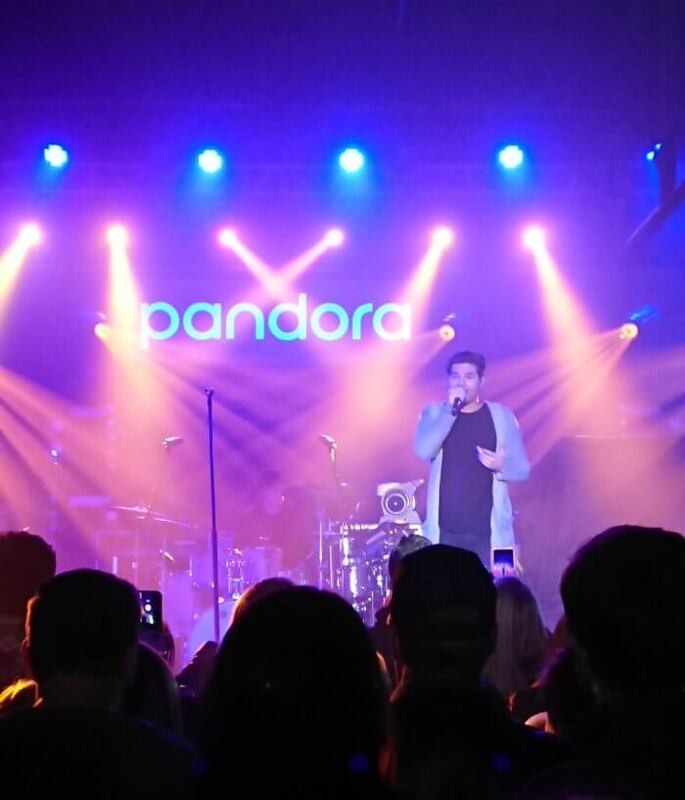 It was a freezing cold night here in Nashville but totally worth the wait! Next, Steven Lee Olsen, opened the show with his honey smooth voice and treated us to some songs from his new album Timing Is Everything. He also sang the song he wrote for Keith Urban, Blue Ain’t Your Color, a personal favorite of mine! Then the headline show began and let me tell you, Jason Aldean did not disappoint. I felt he was even more amazing live than on his albums and he is pretty amazing on his albums too as evidenced by the fact that he is only the second Country act in history to score four consecutive chart-toppers on the all-genre Billboard 200 albums chart with his current GOLD certified album REARVIEW TOWN. Not to mention his six previous LPs that achieved PLATINUM certification or better! He and his band are really great performers and it was actually one of my favorite concerts ever. Jason Aldean said even though he is used to performing for larger crowds, he felt as home because it brought him back to days of performing in clubs at the age of 14! You could tell he was an old pro and when he said to buckle up because he had a show for us, he meant it. To make sure you get to catch the next Pandora Presents: Backroads free live music event, tune into Pandora’s premier station for the next generation of country music: Backroads. The station features your favorite country music stars as well as breaking acts.